The following is a basic list of items I take with me Backpacking. 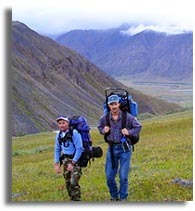 The items you need can vary greatly depending on the climate of the region you plan to hike as well as the season. Be prepared for the extreme conditions (just in case). * Be sure to include extra lithium batteries and bulb for EACH light!! ** Double bag everything that you do not want to get wet!! If we have missed something please let us know.